A hectic week of frantic cycling in and around the Ardennes region begins, as ever, with one of Dutch cycling’s greatest treats; Amstel Gold. Forming part of late spring’s famous triptych, the next eight days will be crammed with some of the season’s most aggressive riding as the peloton tackle Amstel Gold, La Flèche Wallonne and Liège–Bastogne–Liège in almost a single week. Each race favours a slightly different style of rider, though they each demand an individual to be strong, combative and intelligent in pursuit of victory. Today’s task is a 261km journey from Maastricht to Berg en Terblijt, taking in narrow roads on constant undulating terrain, creating a bunch who sees its anxieties grow as they seek to peer around the next corner. Positioning shall be a key factor for those hoping to perform well at Amstel Gold, making the battle for the front an intense contest as soon as the starting flag has been waved. A total of 35 officially recognised hills feature on course, few of which would invoke much trepidation normally, but mole hills become mountains once the race passes 200km of sustained racing. Suffice to say, Amstel Gold often becomes an attritional affair which builds tension ahead of the final attack on the finishing climb, but this course is slight different than normal. Instead, the finish in 2017 should allow a greater number of riders to come into play, favouring the strongest sprinters who are capable of surviving a day like this in good shape. Gone are the days where riders sought to put everything down on the final ascent of the Cauberg in order to win, though the iconic hill does feature throughout the day, 2017 looks set to be a reduced sprint amongst the toughest of riders. Michael Matthews is one of several riders expected to challenge once again for the win at Amstel Gold, despite having never managed to convert several good showings at this race into a victory thus far. The Australian has continued to develop his ability to survive hard days in the saddle, able to emerge when it matters most at the end of the stage, easily putting rivals to the sword with his blistering pace. Matthews is not scared of joining a breakaway either, making him a crucial rider to mark for those also seeking victory, as it is unlikely any move capable of staying away could feature anyone faster than himself. Though his previous form here is exciting, the course changes will make it harder for Matthews to gain an advantage over pure sprinters, as the finish is no longer upon or shortly after the Cauberg. Fabio Felline has been on the rise since last year and will enter today’s race with plenty of confidence that a podium place is well within his capabilities right now, if not more. His efforts during the early part of the season have showcased his durability for arduous contests, able to match some of the best in the world as the pedal revolutions tick higher and higher. The Italian is another who is dangerous due to his ability to win from either a bunch kick or breakaway move, so will not be afforded a great deal of freedom by the bigger favourites. However, his greatest issue is that he is not on par with the elite climbers and sprinters, meaning any move he makes will need to be intelligent enough to compensate for this difference in ability. Bryan Coquard finished an impressive fourth place at last year’s edition of Amstel Gold, only losing out to Sonny Colbrelli in the sprint for third place on the day. The French rider possesses an immense turn of speed, often emerging late from behind his more powerful rivals, accelerating past them as the finish line rapidly approaches. Coquard looks to have developed a greater degree of strength and determination to stay in contention when things get tough at races such as these; with last year’s result testament to that fact. He may not have enjoyed an eye-catching Spring like others here, but the general feeling amongst those in the sport, is that Coquard has the form necessary right now to win Amstel Gold. Sonny Colbrelli continues to surprise people with his results during the early part of 2017, appearing here off the back of victory at De Brabantse Pijl last week. Colbrelli has good form at Amstel Gold in recent years and should find that the course alterations play into his hands more than any other major contender present. Also, his team features defending champion and two time winner Enrico Gasparotto, able to guide him through the maelstrom with his wealth of experience at Amstel Gold. Colbrelli is one of the best at surviving tough races, demonstrated clearly by his recent showings at Milan – San Remo; one of the hardest races a rider can face each year. With a strong combination of individual and team strength, there is a great chance that the trophy will remain in Italian hands for another year. Greg Van Avermaet should be another rider who finds the recent route chances favourable for his chances of winning Amstel Gold. Currently enjoying an incredible year of form and successes, the Belgian hero will still emerge motivated as ever to perform well enough to challenge for the day’s honours. Assuming that the main bunch is slowly whittled down throughout the day, it is hard to see Greg Van Avermaet being absent from such a group and from that position he is currently unbeatable in a reduced sprint. Alejandro Valverde is a rider who shall not be overjoyed by the finish no longer being determined by the testing Cauberg, so will need a new plan if he is to succeed today. The start of the season has proven fruitful for the veteran Spanish rider and many are hinting that he is in some of the best Spring form ever seen from him. As there is no longer the steep springboard on offer to catapult him to the finish line, he is now another rider seeking to be part of a much smaller group which battles it out for the victory. Should the situation arise, then Valverde is one of the hardest men to beat in a flat sprint after such a long and gruelling race. Philippe Gilbert delivered a miraculous victory at De Ronde Van Vlaanderen a few weeks ago and has been a dominant force during the last couple of months. The Belgian champion will however struggle to replicate his previous dominance at this specific race, as the Cauberg lacking finale makes it much tougher for Gilbert to drop riders who can sprint faster than himself before the line. It is likely that he will need a much more attritional day in order to improve his odds of winning, but it is not impossible to see Gilbert once again becoming champion, especially given his current form. Outsiders who are worth watching throughout the day are; Enrico Gasparotto, Ben Swift, Michael Albasini, Diego Ulissi, Tim Wellens and Simon Gerrans. The preceding rest day shall seem like a distance memory as the peloton’s Andorran adventure continues for another day here on Stage 10. From Escaldes Engordany to Revel is a 197km journey which opens immediately with a tough task, climbing the 22.6km long Port d’Envalira (5.5%), a Category 1 ascent that will put many riders into the red as soon as they roll out. 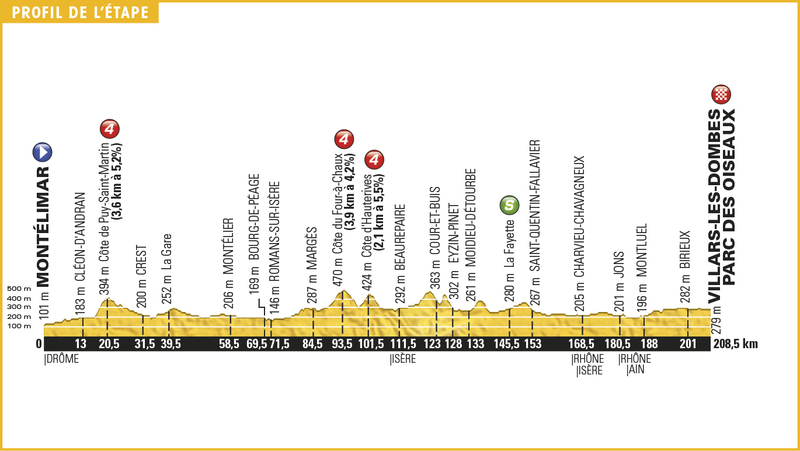 A breakaway has a great chance of determining today’s outcome, though much will be decided by the final run into Revel, the Category 3 Côte de Saint-Ferréol (6.6% avg) appearing poised to play a crucial role. Peter Sagan looks to have the option of either joining the day’s breakaway or save his efforts and aim to take the win in a larger bunch kick at Revel. He will be aware that a win here should return the green jersey to his hands once again, but it could prove tricky deciding which method offers the best chances of another Tour de France victory. Edvald Boasson Hagen entered the race with a great deal of form and has everything going in his favour to suggest he can pick up a stage win during 2016’s Tour de France. The Norwegian enjoys tough days in the saddle which help to reduce the number of contenders, so the finish into Revel should catch his eye as an ideal platform to ratchet up the pressure on his likely rivals. Michael Matthews has not been as prominent as perhaps many had expected him to be during these opening stages, but Stage 10 offers an ideal opportunity to remind pundits that the Australian is still at the race. His Orica teammates can certainly take advantage of the Côte de Saint-Ferréol near the finish, applying the requisite pressure to crack the purer sprinters and set up a battle amongst the puncheurs and stronger fast men. Bryan Coquard would have seen few complain about him collecting a stage win in the opening week, but unfortunately he has not quite managed to achieve this thus far. The French rider is evidently in brilliant form right now and will not hesitate to utilise his team’s strength to try and set himself up for the win here. Coquard is light enough to make it over the final climb and has demonstrated already that he is one of the fastest here; bigger names would be foolish to discount this precocious talent. 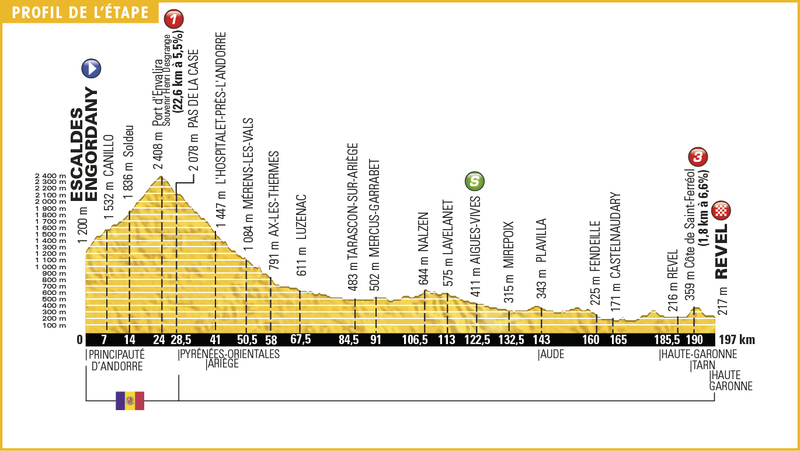 Marcel Kittel, Mark Cavendish and André Greipel would be the leading names for today’s finish, but the monstrous Port d’Envalira ascent which opens Stage 10 will be a great task to overcome in order to contest any form of a sprint. It seems unlikely that such a long opening climb will be contested without any attacks being initiated with the hope of placing the afore mentioned trio in jeopardy and therefore out of contention. Alexander Kristoff would have been a favourite for this stage a year ago, unfortunately there has been little to encourage his usual backers in recent weeks that the Norwegian will be a frontrunner by the time they reach Revel however. Those likely to form part of a breakaway or last gasp attack include: Greg Van Avermaet, Tony Gallopin, Jan Bakelants, Jasper Stuyven, Tom Jelte-Slagter, Laurens Ten Dam, Stephen Cummings and Nicolas Edet. Yesterday’s monotonous affair felt like it stretched on for days at times, so many are unlikely to be looking forward to this even longer course which forms Stage 4. 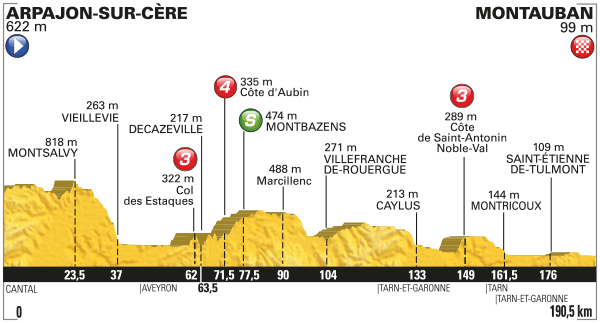 The 237.5km journey from Saumur to Limoges is the longest stage of 2016’s Tour de France, another long day in the saddle required to lead the peloton back down from their northerly beginning in Normandy. 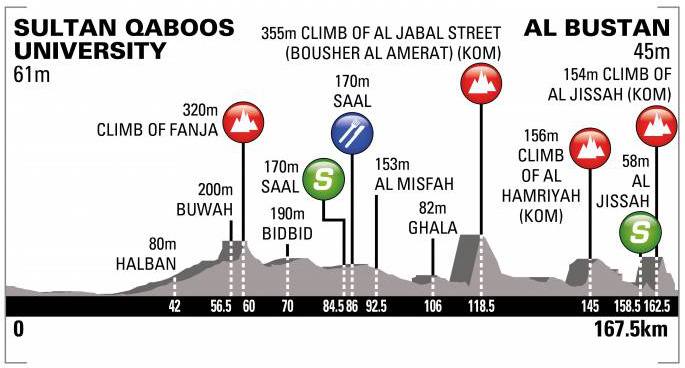 The most rolling of days so far, the sprinters shall have looked at this as another great opportunity to take a win, but once again an uphill ride to the finish line could cause an upset. Mark Cavendish collected his second victory of this year’s Tour de France and has subsequently drawn level with the (in)famous Bernard Hinault in overall stage wins at La Grande Boucle. There is little to suggest that he cannot pick up another win here, though he will once again require a successful run to the line and today’s power based sprint does favour less so. Regardless, the diminutive fast man has already won twice thanks to his immense guile and enviable ability to always find the right wheel to follow. André Greipel came so close to winning Stage 3 that he even thought he had done it, yet he had to endure the painful reveal of a slow-motion replay which displayed Cavendish beating him by the width of a tyre. 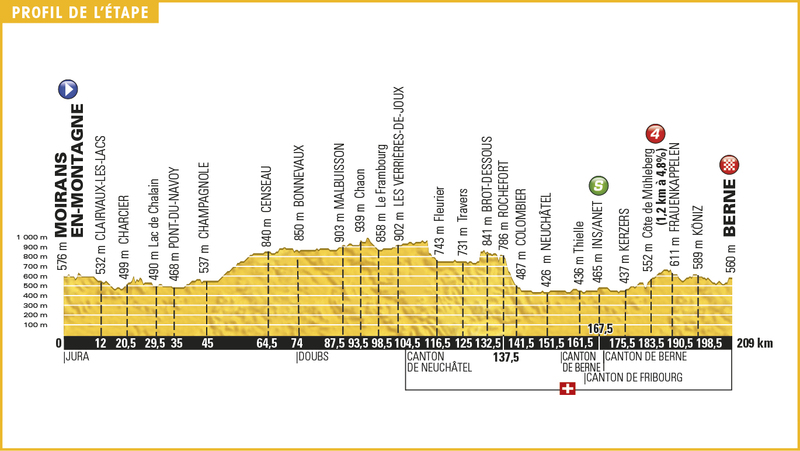 The finale here is much less technical than yesterday, is slightly uphill and all plays to the strengths of the immensely strong German rider who is expected to get the best out of his team today. Peter Sagan has looked in brilliant form thus far and you cannot help but feel that he has not even started to leave his mark on 2016’s edition. 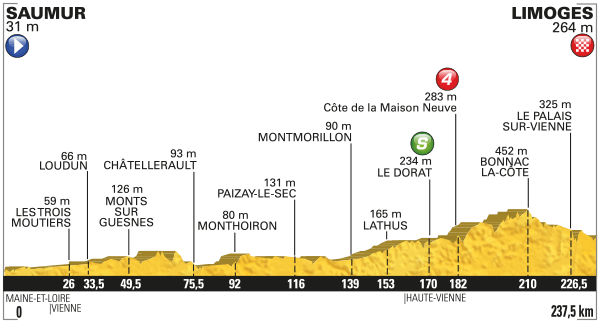 This drag to the line does favour Sagan somewhat, but a few extra percentages of incline would have genuinely marked him out as the favourite to win in Limoges. As ever, the lack of support afforded to Sagan in these bunch kicks often leaves him isolated, requiring him to do that little bit extra which can leave him short at the line. Marcel Kittel is likely to remain in contention once again here, though the finale itself does not exactly suit him as well as anyone wanting to back him would like. There is little as of late to suggest he will be the man to beat today, but if his Etixx team finally clicks efficiently, then Kittel could once again return as a frontrunner. Michael Matthews came unstuck during Stage 3’s technical run into town, but today’s simplified finish and uphill stretch should suit him much better. Given the distance and rolling nature of the stage, Matthews should feel confident of being in the mix come Limoges and has a strong line up to help him do so. Bryan Coquard was not far from matching the best on Stage 3 and dropped a definite hint of his condition heading into this grand tour. The Frenchman enjoys these uphill finales greatly and has established a reputation in recent years as the man to beat on such terrain; today could prove to be a strong reminder of this.